The Carrack hosts regular and occasional community-organized events, meetings, mixers, workshops, hangouts and shindigs through which artists make contact with other artists, gain new skills or knowledge, brainstorm about or launch projects, or just have a substantial time. Please visit our Calendar for regularly updated schedule of events. Learn about the gallery’s process for programming visual art exhibitions and public performances and events. 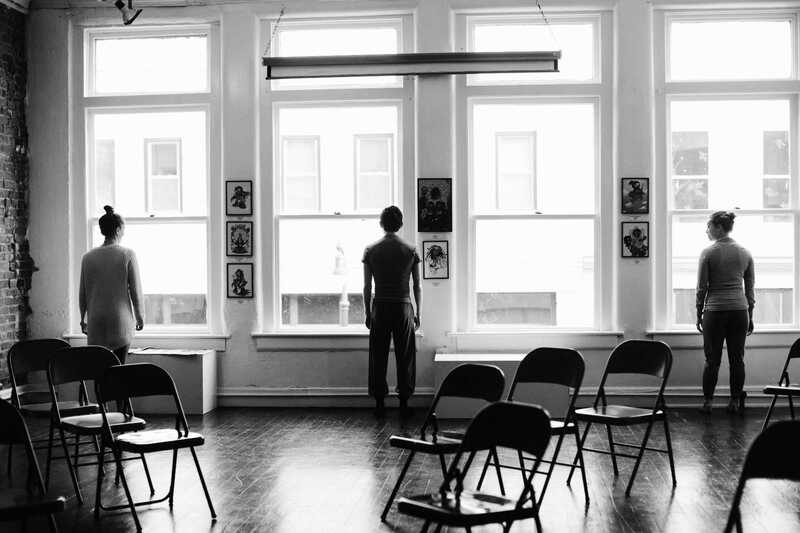 Join us at the gallery every month (usually on the first Thursday, please check the Calendar) for an open conversation and informal critique of works-in-progress. Bring your art, your ideas, and your friends. Drop in or stay the whole time. Everyone is welcome. 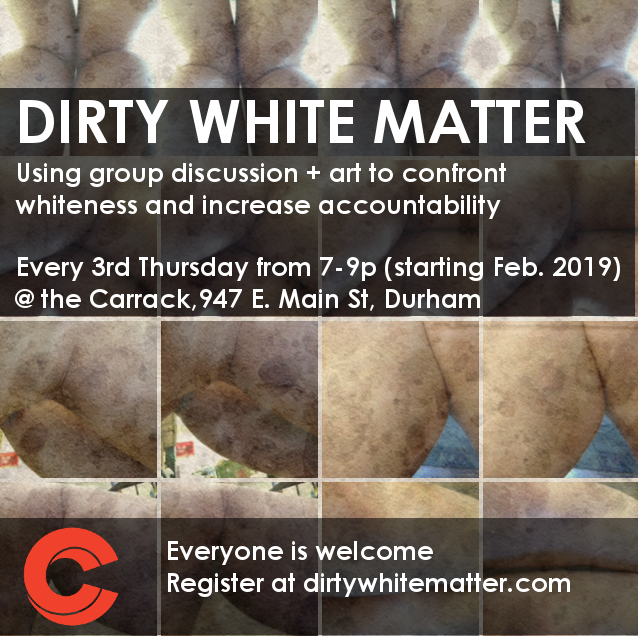 On third Thursdays (but please check the Calendar) join Meg Stein for DIRTY WHITE MATTER is a community-based project that uses art, group discussion and recorded interviews to confront whiteness and white femininity and to increase accountability. Everyone is welcome. Suggested donation is $5-$10 which is used to pay interviewees and cover the cost of materials. Everyone is welcome regardless of whether or not they donate. 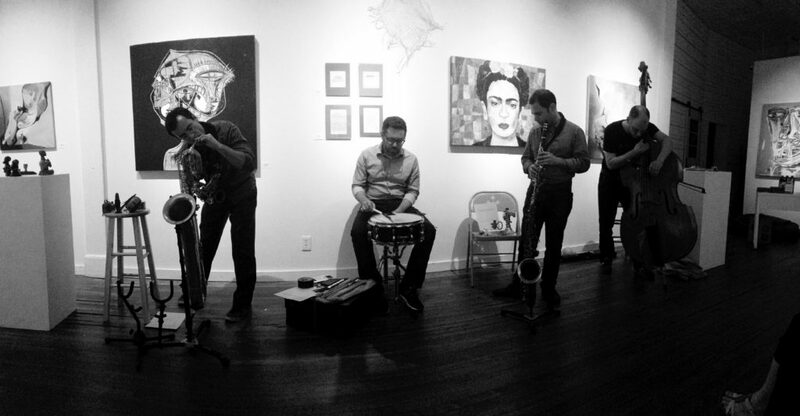 THE EXSUFFLATION SERIES is an evening of free improvisation with a rotating cast of musicians, curated by David Menestres. BYOB, $5 suggested donation for the musicians. THE EXSUFFLATION SERIES is usually held on the third Tuesday each month but please check the Calendar. 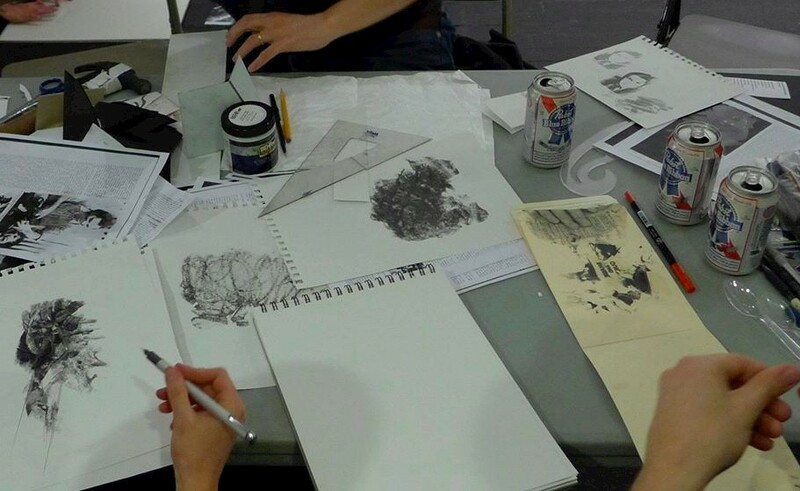 THE DRAW is a monthly gathering of folks looking to draw (and drink and talk) together. THE DRAW is usually scheduled for the last Thursday of the month at The Carrack. Bring your own drawing implements and beverages to use or share. Drop in or stay the whole time. Everyone is welcome. THE DRAW was created by Tedd Anderson. For a history of the event, follow Tedd’s blog. Yoga classes are led by Hannah Bondurant and Katie Daly. 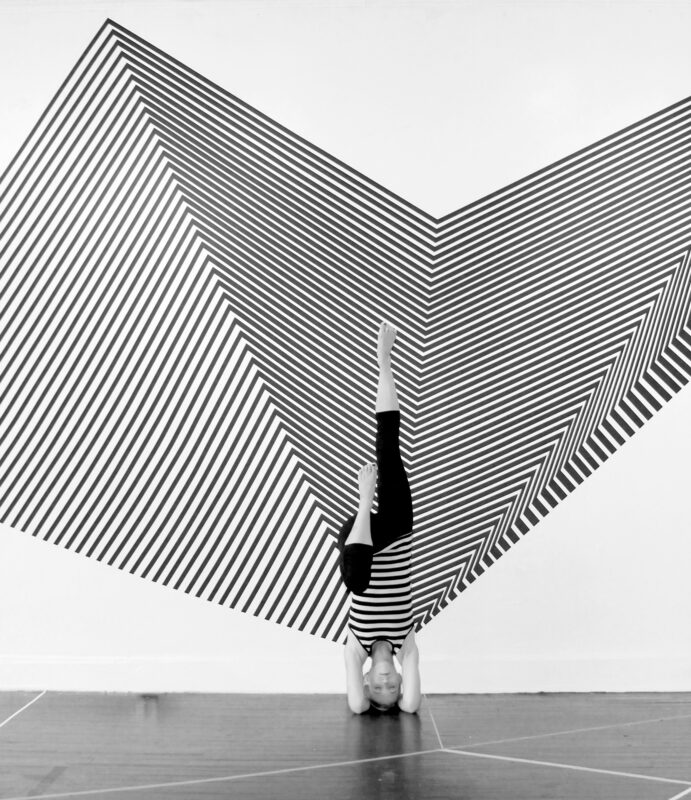 Please join the mailing list to receive regular updates on the schedule by sending an email to peter6805@juno.com with “Carrack Yoga” in the subject line. Classes are typically held every week but please check the Calendar to verify that classes are scheduled for the desired week. PROMPTS is a recurring artist series organized by Justin Tornow and COMPANY. 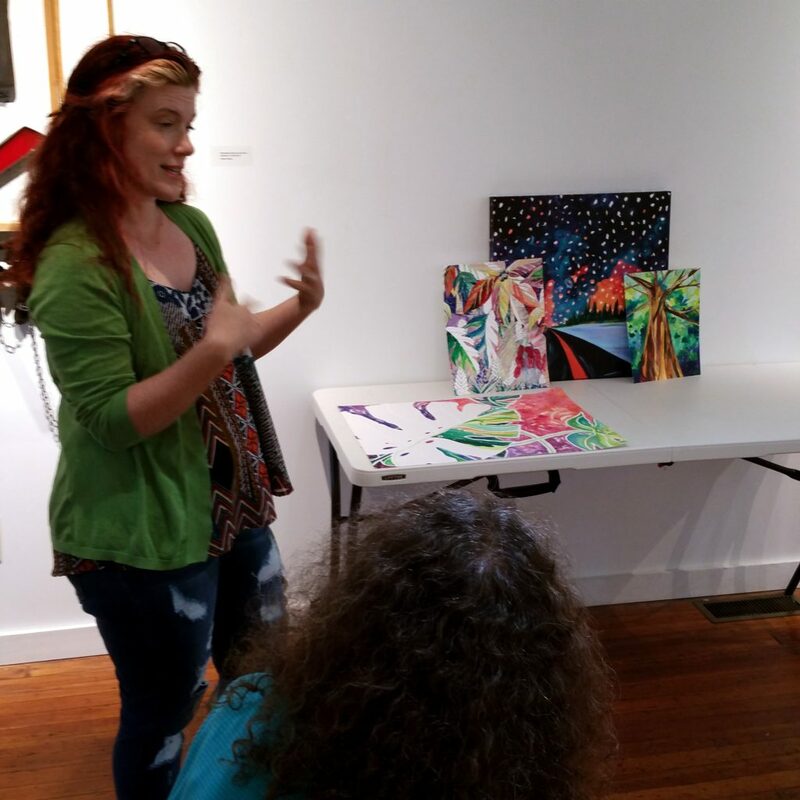 For each event, artists gather and respond to the unique prompt (given approximately one month ahead of the event.) The community is always invited to attend. To receive notice of each prompt and event details, email Justin Tornow, receive notifications via PROMPTS on Facebook or learn more about COMPANY’s programming on their website.